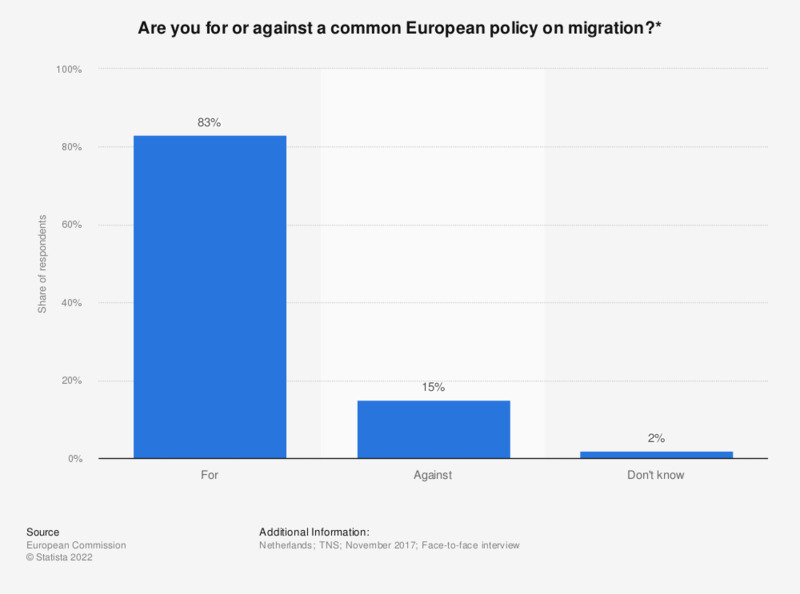 This statistic shows the outcome to the survey question: "Are you in favour or against the following: "a common European policy on migration". As of 2017, roughly 15 percent of the Dutch respondents replied they are against a common European policy on migration. * This question was phrased by the source as follows: "What is your opinion on each of the following statements? Please tell me for each statement, whether you are for it or against it. A common European policy on migration". Thinking about attitudes towards immigration, where would you place your views on the scale below?